Pope Francis has approved a decree recognizing a miracle attributed to Blessed Oscar Romero, opening the path for the Salvadoran martyr to be canonized a saint. Francis approved the miracle on Tuesday, March 6, 2018, alongside a miracle allowing for the canonization of Pope Paul VI and other new saints. 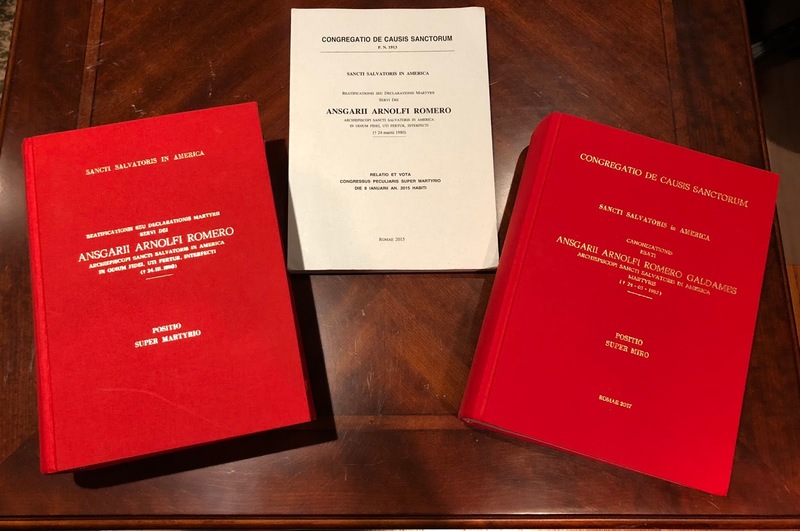 The Italian bishops’ conference newspaper, Avvenire, reports that the miracles for the two men were approved together at every step of the process, including approvals by doctors, by theologians and by cardinals and bishops. 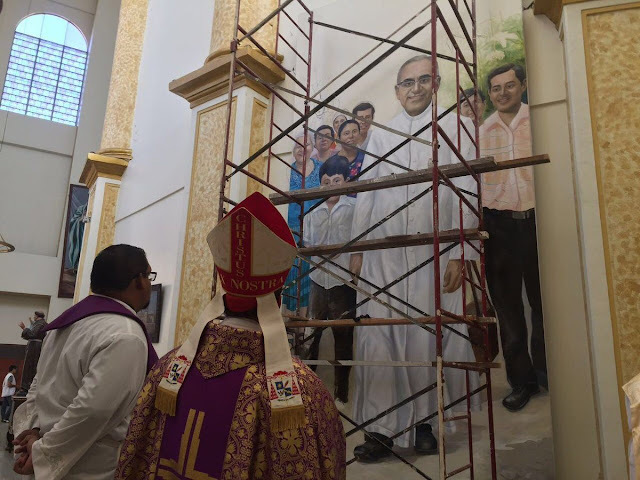 Romero is now set to become the first-ever saint born in any Central American country, and the first post-Vatican II martyr to be canonized by the Church. The news is likely to unleash fierce debate about where the canonization should take place. The leading options are to canonize Romero in a group that will also include Pope Paul VI on October 21, during the Synod of Bishops on the vocational discernment of the youth (at the Vatican); the other option is to canonize Romero during World Youth Day in January 2019 in Panama, perhaps allowing time for the cause of his friend, Rutilio Grande, to catch up with Romero’s cause so that Romero may be canonized and Grande beatified in the same ceremony. A Salvadoran newspaper, Diario CoLatino, reports that the Salvadoran bishops have asked Rome to do it in Panama to be in Central American lands. The doctors in the Romero panel were all distinguished academics in the fields of fertility and pregnancy. For example, one is the head of obstetrics and gynecology at a Roman hospital; another sits on the European Board and College of Obstetrics and Gynecology. On December 14, 2017, a panel of theologians added their approval. Then, on Tuesday February 6, 2018 , the CCS’ commission of cardinals and bishops voted to recognize the miracle. Now, only the only detail to be worked out is the time and place for the canonization. For that purpose, the Pope will convene a consistory of cardinals to formally approve the canonization and set a date for it. That consistory is expected to happen by June, and possibly earlier. 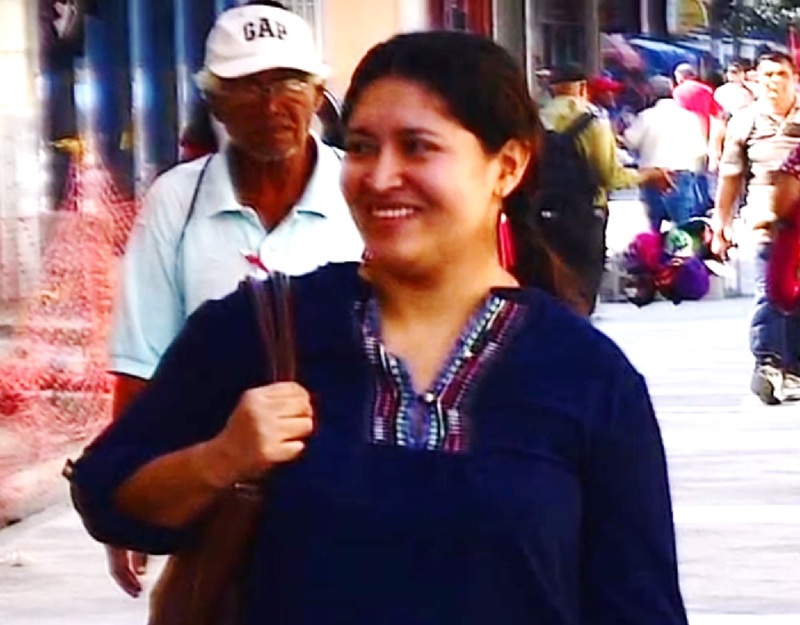 Cecilia Maribel Flores Rivas, El Diario de Hoy photo. The recipient of the miracle is not a stereotypical Romero follower. In fact, Cecilia Maribel Flores Rivas is not known among circles of Catholic activists, nor among the fervent devotees of the martyred bishop. Instead, Rivas comes from the Neocatechumenal Way, a secular movement with a reclusive reputation in the Church. The beneficiary’s affiliation has been a source of relief among some close to the cause, who hope that it may lend a touch of credibility to the process, which is still viewed with distrust in some segments of Salvadoran society. Super Martyrio has reviewed documents that reveal the dramatic story of a pregnant woman whose health deteriorated to the point of being near death, then miraculously recovered to full health in a matter of days. The 34 year-old Salvadoran woman had suffered multiple miscarriages and problematic pregnancies in the past. During a pregnancy in 2015, she experienced several difficulties, including depression, a urinary tract infection, and gestational diabetes. On August 27 of that year, she was hospitalized in distress. Suspecting preeclampsia (high blood pressure with damage to the liver and kidneys), the doctors removed her baby through cesarean section. Over the next few days, she got progressively worse. She exhibited symptoms of HELLP syndrome, a life-threatening liver disorder. In the evening of August 28, she was moved to an ICU. Despite intensive treatment, various organ systems in her body began to give out. Her blood stopped coagulating, her liver and kidneys failed, and she was put on a mechanical respirator because her lungs stopped working. She went blind and was put into an induced coma in a desperate effort to save her life. One night, the doctors told her husband they had done everything they could. They did not expect her to make it through the night. Her mother arranged for a priest to go to the hospital to administer the Last Rites. The husband opened his mother’s bible and a prayer card for Romero, who had been beatified earlier that year, fell out. The husband took it as a sign that he should pray to Romero. Friends started by praying vespers, then Rosaries, and some went to the Crypt were Romero is interred to pray. Eventually, their entire parish circle was praying around the clock. Unexpectedly, from September 9 and over the next 72 hours, the woman experienced a dramatic recovery, with levels that had plummeted to near-death readings regaining normal functioning, so that by September 14, she was released from the hospital. Following the release, she showed no sign of permanent kidney damage and resumed an “absolutely normal” life. The miracle was first documented in a Salvadoran Church inquest that convened on January 31, 2017 and adjourned on February 28, 2017. The Salvadoran Church forwarded the documentation to the Vatican, which certified its validity on April 7, 2017 and opened its study. Romero's miracle-gathering process also serves as a prism for refracting Salvadorans’ popular fervor. Since his death in 1980, Romero's tomb is covered with plaques thanking him for "miracles" granted. Within six months after his 2015 beatification, ecclesial authorities collected three "miracles" attributed to Romero. However, the Vatican rejected them as insufficient. While these miracles do not meet the requirements to be approved in a canonical process, the favors reflect the intimate dialogue that the faithful maintain with their late pastor. Recognition of the saints in the Catholic Church consists of two stages. In the first, the person is declared a blessed, either for their "heroic virtue" or, in the case of Romero, for having been killed in "hatred of the faith." In that case, the person is called a martyr. Romero achieved that status in 2015, after a prolonged study that was hampered by ideological differences outside and inside the Church over whether the murder was committed out of hatred of faith or for political reasons. In the second stage, it takes a miracle to establish that the candidate has heavenly approval—a stage that Blessed Romero has now cleared.